Boko Haram, the extremist Islamic group that wants to enforce Sharia Law across Nigeria, has inflicted mass casualties in northeast Nigeria. Some reports put the number of fatalities as high as 2,000. Amnesty International, communicating with experts on the ground in Nigeria, has said the assault on the town of Baga could be the deadliest attack by Boko Haram since the extremist group surfaced in 2009. 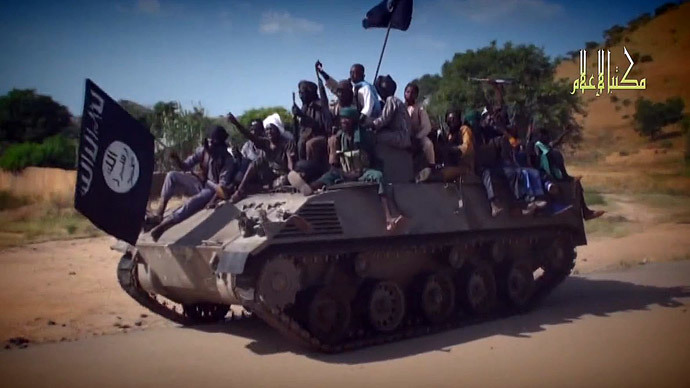 “The attack on Baga and surrounding towns looks as if it could be Boko Haram’s deadliest act in a catalogue of increasingly heinous attacks carried out by the group,” said Daniel Eyre, Nigeria researcher for Amnesty International. Amnesty International has quoted some sources that say the town has been razed, with as many as 2,000 people killed. If true, that would mark a “disturbing and bloody escalation of Boko Haram’s ongoing onslaught against the civilian population,” Eyre added. Yanaye Grema, a 38-year-old fisherman, was part of a citizen’s militia to defend the town but the extremist Islamic group overpowered them. It wasn’t until Tuesday night that he discovered the scale of the attack. “For five kilometres (three miles), I kept stepping on dead bodies until I reached Malam Karanti village, which was also deserted and burnt,” he said. Mike Omeri, Nigerian government spokesman, said the military on Friday was battling the insurgents around Baga, where the fundamentalist Islamic group seized a major military base last week. "Security forces have responded rapidly, and have deployed significant military assets and conducted airstrikes against militant targets," Omeri said in a statement, as quoted by AP. Although officials are still in the process of securing the town and attending to the wounded, early accounts indicate most of the victims were the elderly and children, who were unable to escape the town after the assault began. "The human carnage perpetrated by Boko Haram terrorists in Baga was enormous," Muhammad Abba Gava, a spokesman for poorly armed civilians in a defense group that fights Boko Haram, told The Associated Press. "No one could attend to the corpses and even the seriously injured ones who may have died by now," Gava said. According to the Washington-based Council on Foreign Relations, the 5-year insurgency claimed the lives of more than 10,000 people in 2014 alone. The violence has displaced more than a million Nigerians, while hundreds of thousands have escaped into neighboring Chad and Cameroon.